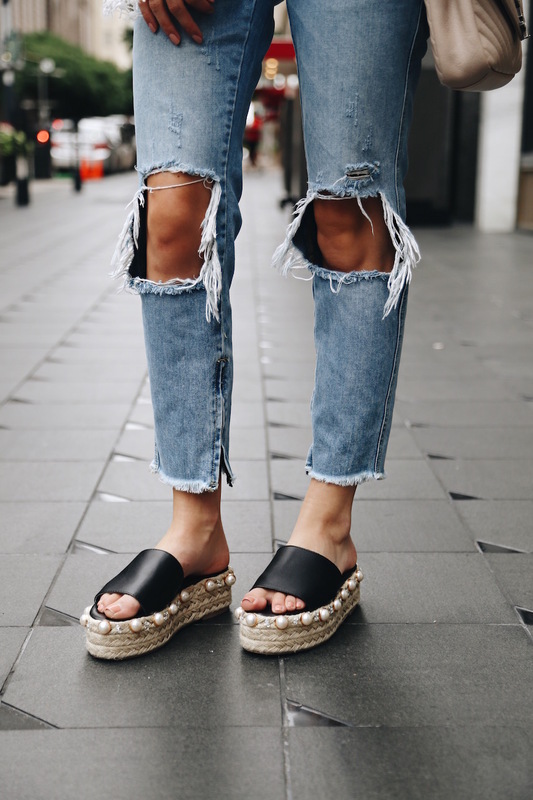 One trend I’m on board with for spring/summer is espadrille platform sandals. I love any shoe that gives you height and are comfortable! I found this pair on Shein and immediately added to my cart. I’m not usually into pearls but I thought these were so cute. They remind me of all the Gucci shoes with pearls that are out right now (how amazing are these!?). I wore them last night and Kyle’s dad asked if I have to “plug them in” LOL. Sizing info: I’m a 7 and the 37 fits perfect! This top will be my go-to for the summer! I’m kind of obsessssssed with the crochet sleeves and peplum hem. Might have to snag it in black too for the fall!